February 1 – Premier League spending in the mid-season January transfer window fell for the first time since 2012 with a quieter than usual deadline day capping off a distinctly unspectacular window. English Premier League clubs spent just £180 million during the January window – the first time the figure has fallen since 2012, according to football finance experts Deloitte. Nearly one third of the total expenditure was accounted for by moneybags Chelsea’s £55 million outlay for Christian Pulisic from Borussia Dortmund even though he won’t be officially joining until the summer having been loaned back to the Bundesliga leaders until the end of the season. Last year’s winter window saw top-flight clubs shell out £430 million but in a significant shift of direction, most of the major transactions this January saw players go the other way and leave Premier League clubs, with Brahim Diaz moving from Manchester City to Real Madrid for £15.5 million and Belgian internaationals Marouane Fellaini and Mousa Dembele moving to clubs in China from Manchester United and Tottenham respectively. The biggest UK deal on transfer deadline day itself saw, surprisingly, Newcastle break their record to sign £20 million Paraguayan playmaker Miguel Almiron from MLS side Atlanta United . Deloitte say the reduction is because of reduced activity from the ‘big six’ clubs, a perceived lack of value in the transfer market; the strongest ever financial position of Premier League clubs, reducing the need to sell their best talent in order to ensure financial stability; and global value of Premier League broadcast rights, with the 2019-20 to 2021-22 cycle being only slightly higher than the previous cycle, thereby reducing clubs’ desire to spend significantly in the transfer market. Remarkably, one of those so-called big six, Tottenham Hotspur, will go the entire 2018-19 season without signing a single player after a second successive window without addition to their squad. Despite January spending going down, the Premier League was still the highest-spending league in European football. 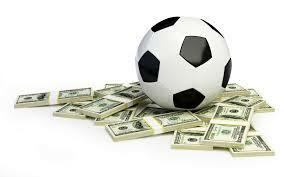 Across the summer and January transfer windows combined, Premier League clubs spent an estimated £1.4 billion. That figure is the second highest for an entire season following record spend of £1.9 billion in 2017-18.